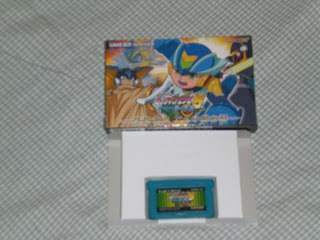 To honor the theatrical crossover between Rockman.EXE and Duel Masters, Capcom gave away a very special promotional version of EXE 5: Team of Colonel. Content wise, it's the same game as EXE 5: ToC. However, it was once rumored the game contained new scenarios straight from the film. I managed to snag this one off of Rinkya a week ago, chances of it reappearing are quite high, last week yet another copy was up for bidding (gone now). Commercial break. I looked up from my plate to witness this godly commercial. Makes you wonder, how come CoA doesn't advertise MegaMan games like this anymore? We've become accustom to Capcom of America removing various features from localized version of EXE games, but this might change with the US release of Ryuusei no Rockman 2. According to Capcom representative, s-kill; CoA is hard at work creating a way to bring the unique "Punch Card System" stateside. S-kill also informed me that talks of US exclusive cards were in the works as well. Kudos to Capcom! You have regained some respect points. Love the GameCube version of “MegaMan Anniversary Collection” but hate the godforsaken control setup? "Thrustmaster's T-Wireless NW “Wii controller” is your solution. The controller, compatible with both the Nintendo Wii and GameCube, contains remapped buttons for easy accessibility and comfort. Although very small, the control is really comfortable. Having played with the controller myself, I can safely say that it successfully emulates the “controls” found on the PS2 version of MMAC. However, my only qualm is the shoulder buttons which require a lot of pressure to get a response. Besides MMAC, the Thrustmaster feels wonderful with my newest love, SSBB. 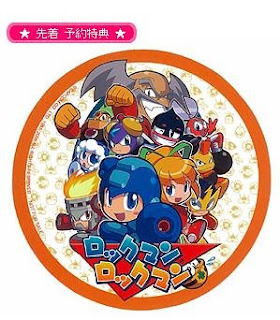 Although I cannot confirm it personally, a source of mine has told me that the Rockman ZX Advent manga serialized within the Famitsu DS+Wii magazine, has ran its course. So, now we are officially "ZX-less" on all bases! What In God's Name Is a Tengu? CutMan, named after his ability to cut, CrashMan named after his ability cause explosions and let's not forget HardMan who is-hard. And yet there is one Robot Master and Net Navi who's name makes no sense to those not educated in the fine art of Japanese folklore. So, what in the name of Yellow Devil is a Tengu? A Tengu can be all of those things! Popular in various forms of Japanese literature, a Tengu can be depicted as either a god or a demon, taking the form of a human being with a long pointy nose and the occasional wings. Some dedications of a Tengu have the monster taking the form of a mix between a human and a dog, but the most common is the birdlike rendition seen throught the Rockman franchise.
" Living high up in the many mountains of Japan, Tengu's lived peacefully, occasionally teaching human beings the art of self defense. The martial arts of the tengu, AKA “Tengu-geijutsu-ron” is said to have the ability to take down any opponent within minutes." For a long time, it was considered that the "Special Edition" of Rockman X4 was only limited to the Saturn release, but thanks to this Rinkya auction, we now have actually proof that an SE version was released on the PSX as well. Contents of the PSX version are identical to the Saturn version with the exception of a slightly altered box art. Rockman Rockman: Selling Like Hotcakes? This is weird. Very weird. According to U-Capcom's sales charts, the commercial failure, "Rockman Rockman," has shot up to number three of the highest selling games at E-Capcom in the past month. And just below RR is-Devil May Cry 4? WTH? Seriously. RR is outselling one of Capcom's biggest games of the year. RR has been absent from sales charts for a couple of years, so why the sudden surge of sales? My guess is that the PSP is finally starting to catch on in Japan. 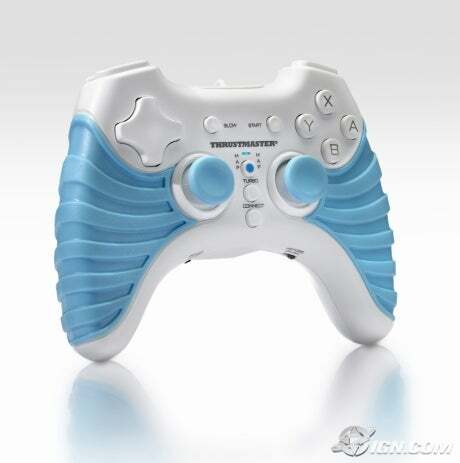 With the slimmer design and cheaper price tag, gamers are actually starting to notice the console exists. So, will this actually help chances of a Rockman Rockman 2? Who knows! Ryuusei no Rockman Tribe: Off Air! It appears the anime adaption of RnR2's story arc is coming to a premature end at episode 21, according to the anime's developers Xebec. This is very bizarre as previous Rockman anime adaptions have ran up to forty plus episodes. So, is Rockman off airwaves for good? Not quite. Supposedly, "Zero Duel Masters" the anime that airs prior to RnR Tribe, is getting the boot as well, which may lead to speculation that the block, "Oha Colesium" is merely switching out both shows in favor of new shows for a period of time. My thoughts? I believe that anime adaption of Ryuusei will return-in November to coincide the release of the rumored and inevitable RnR3. A popular trend in anime as of late is airing shows for half a season and continuing it a few months later. This process is currently being done by shows such as "Mobile Suit Gundam 00" (highly recommended) and "Code Geass." This is done to ensure higher quality animation and scripts. However, this is Rockman we're talking about. You know, "Never say die." As expected, Capcom officially announced MMSF2 for America and Europe at their "Digital Event." 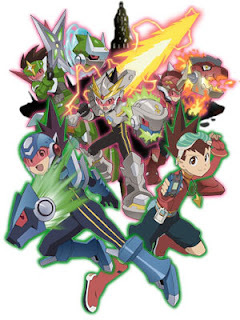 "MegaMan Star Force 2: Zerker x Saurian" and "MegaMan Star Force 2: Zerker x Ninja"
will hit store shelves sometime around June, 2008. Why the odd name change? Who knows! Chances for ZX3 Higher Than We Thought? Maybe (Not). Here's the scoop: We all know that Capcom's goal was to sell a minimum of 100,00 units of ZXA before the end of the fiscal year (which I believe is at the end of March, not sure) to possibly garner a third entry. However, going by VGChartz's data, ZXA is just 10,000 or so units off. Maybe maybe not. I took the liberty of asking around the VGChartz community to see how accurate their data was. The results? VGChartz data is off. -ZXA sold BELOW that 90,000 something number. For fun, I spoke with a Capcom rep concerning the VGC data. Apparently, I was told that various Capcom games on record are off from a 3,000-10,000 unit range. Capcom informed me that VGC's data is based off of estimates, some numbers do not include small retailer stores and several online shops as well. I was recommended to keep an eye out for press releases every so often from Capcom IR for "official stats and numbers." So pretty much, we're back to square one: not knowing what the heck is going on with ZX3. Where do we go from here? Should we just wait it out? Or, continue to squeeze Capcom and/or Inti-Creates for some official words? Like many others, I'm obsessed with debug rooms. Debug rooms, created for the sole purpose of testing out game mechanics, physics, and animations; are hidden behind every video game, hidden from everyday players. However, those talented in game hacking can expose this hidden area and open up it's wonders for all. Some debug rooms, like the one recently discovered within Rockman ZX and ZXA, offer a unique look at the “stage creation process” before we get our paws on the final result. N-Mario of Sprites Inc. has successfully found the debug room for both ZX and ZXA. Although it might not look like much, it is incredibly unique because it shows us what goes into the creation of a stage. Think of this as the skeleton of a stage. After waiting in the cold for a miserable thirty minutes, I successfully obtained my copy of Brawl. Due to the very small interior of my local GameStop, myself and thirty something other gamers were forced to wait outside in the cold till the stroke of midnight. For the majority of the wait, I was pretty excited for the game, but three "stereotypical gamers" behind me irked my good mood. "Hey man, I'm buying this game just so I can burn it." "(Odd sounds) Hellz ya my man. This game is suppose to be really bad, like worse than a Hannah Montana game." "Sweet man...Yo, did you get your GED yet?" "Lol. What are we waiting in line for again?" Honest to god, that was their conversation. Word for word. Anywho, I've been up playing for the past two hours or so-alone. I would play online, but Random isn't all that fun without text chat and stats, so I invite you all to play against me! That's that. Now to hit the sack. The must have book of the year continues to make our mouths water! 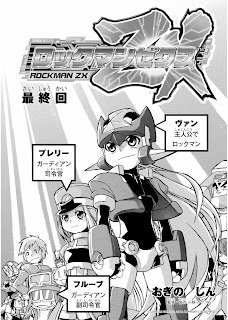 To the right of this text is what appears to be the final cover to "R20 Rockman & X Official Complete Works," decorated with an immense amount artwork adorned with Rockman's face. Capcom's official Rockman portal confirms the book will contain over 3,000 pieces of artwork from various franchise contributers such as Inafune sama, Hayato Kazi, Tatsuya Yoshikawa and many more. e-Capcom is now taking preorders for the book, however buyers can expect the book to ship on April 4th. Strangely, e-Capcom's description of the book indicates it might be the final 20th Anniversary item. (Going by Google's translation. Those fluent in Japanese can double check this! R20 is available March 25th, 2008 for 3,360 Yen. Don't miss out on this one! Although Netto is long gone (R.I.P my man), his adventures continue within "Netto's Diary", a series of items found within Ryuusei no Rockman 2, filling us in on his happenings after the events of EXE 6. Tonight for your viewing pleasure, are the complete diary entries in english! "Thought I'd buy a PET for my son Raito because he's getting bigger. My wife Meiru said 'is it too soon?' The installed Net Navi was named Rockman Jr. My navi is Rockman and Meiru's navi is called Roll, a program combining the best qualities of both net navis. Raito was quite happy "I'm going to become the #1 netbattler in the world!" It is good for a father to see a son do that kind of growth." "There was a meeting held at the science bureau and I brought up the hot topic "bond theory". In the old days, Rockman and I fought for our lives together, besides that, a miraculous, rare power can be born between two people. This power is what made me start thinking about this theory. I was thinking, Although bonds are not totally out of the question, sometimes people don't believe such power can be demonstrated. To summerize it as a theory、 I'm wondering whether it can be helpful to the world. Perhaps it won't even be completed during my lifetime. but... I think I want to bequeth something to the people living in the future. So... Everything for the future!" Play-Asia is offering an assortment of official 20th anniversary goods from the 20th Anniversary Event from way back when. Jackets, shirts, soundtracks, key chains and more await you! It also appears Play Asia will be selling the upcoming "Rockman & X Encyclopedia," which is good news to those of us who lack an import bookstore near by. It's that time again. Capcom has locked in April 12th as the official date for their annual Capcom Gamers Day conference. What MegaMan news will come from it? I'm more than certain we'll hear our first news bites of Star Force 2, but beyond that your guess is as good as mine. Here's hoping for something worthwhile in '08. What luck! A magnificent custom "Original X" figure has popped up on ebay waiting your bid! If money isn't a problem, bid away! Yes, the Apple Newton. The ancient PDA will be getting an unofficial Rockman title via the educational “MathFaster” software by Sealie. Just look at those amazing graphics! That soccer ball looks as if it's coming right off of the screen! This should keep us busy till some official Rockman Wii news. Right? Right?